2- Choose Administration from the upper right corner. 3- Turn Maintenance mode to off by press the link. 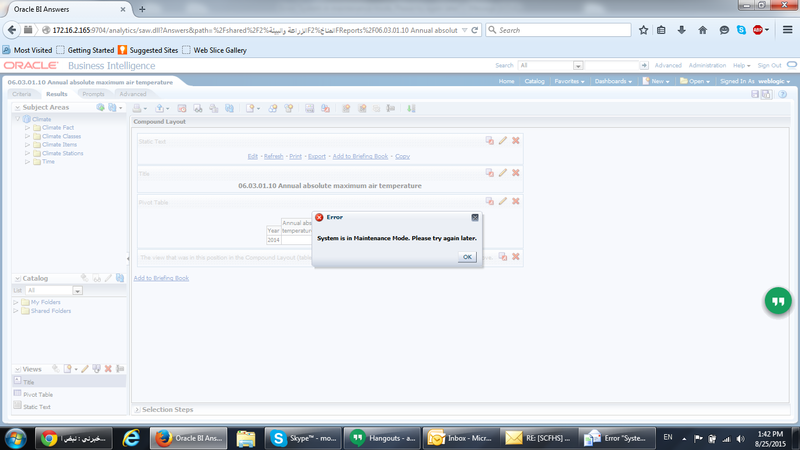 Today one of the customer called complaining about accessing to the system and how its not working ? 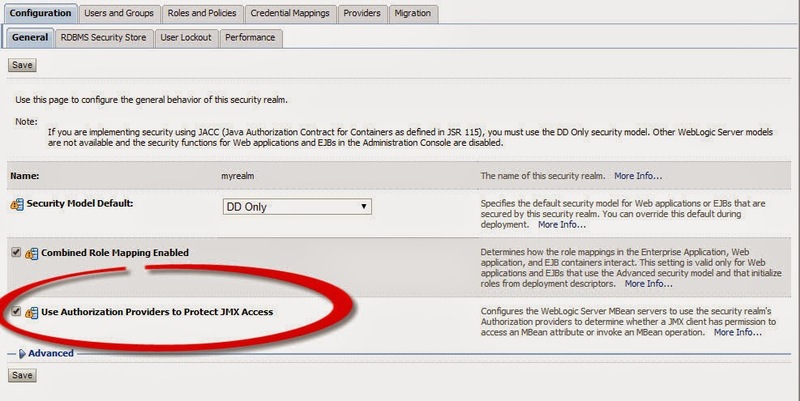 Since everything is configured as single sign on (SSO) first thing to check was OID or oracle internet Directory. [2015-05-01T07:00:28+03:00] [OID] [NOTIFICATION:16]  [OIDMON] [host: MOAPRDOID1] [pid: 5244] [tid: 0] Guardian: [gsdsiConnect] ORA-12514, ORA-12514: TNS:listener does not currently know of service requested in connect descriptor. from the above error the OID is unable to connect to database server i checked database and listener everything is up without any issue and all the other application working without any issues. Restart the services and everything is working. Pool EDNLocalTxDataSource is Suspended, cannot allocate resources to applications.. 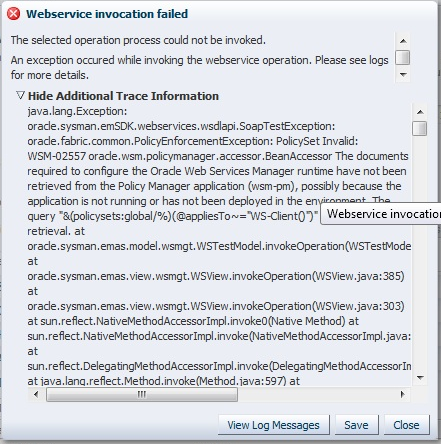 Connection test failed with the following exception: weblogic.common.resourcepool.ResourceDisabledException: Pool EDNLocalTxDataSource is Suspended, cannot allocate resources to applications.. 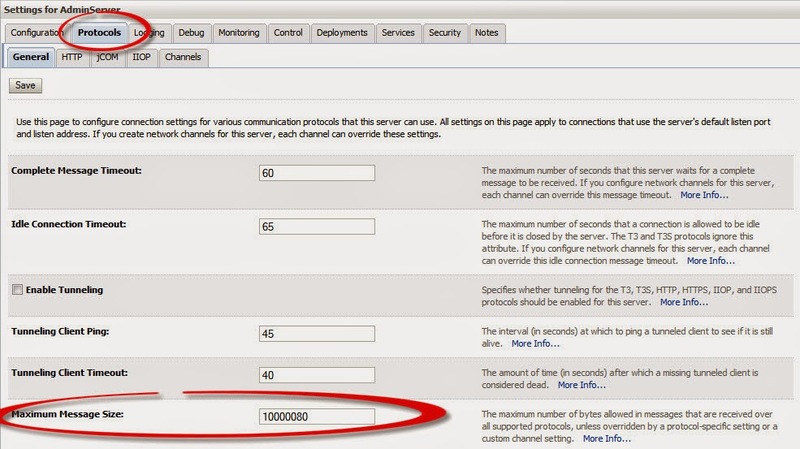 This Error Appeared on Weblogic Depend on Managed Server, Tuning Connection Pool By Increasing Maximum Capacity parameter in Datasource. My Case Datasource EDNLOCALTXDatasource as the above error. Increase depend on your application. 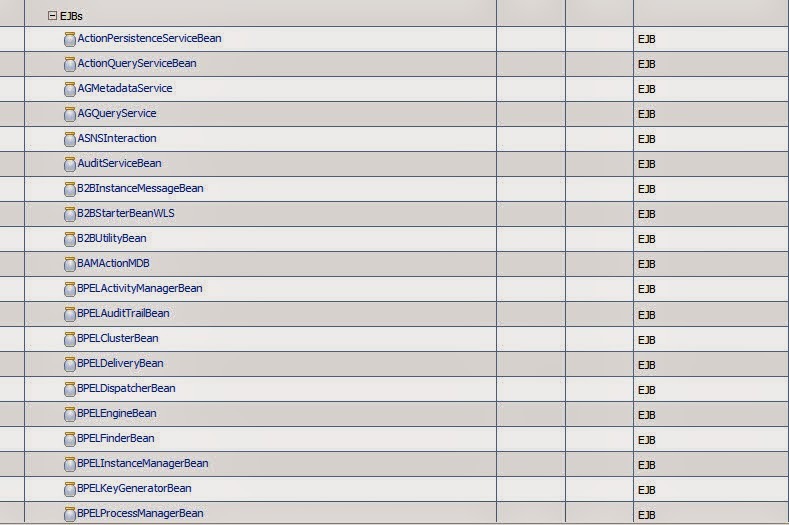 When Creating Domain for Oracle SOA it’s Mandatory to Run Oracle RCU before to create SOA Repository, This will create tables configuration and information about Oracle SOA. But What happened the this tablespace was getting full, increase it 20GB is not enough which mean it’s strange case and not acceptable. 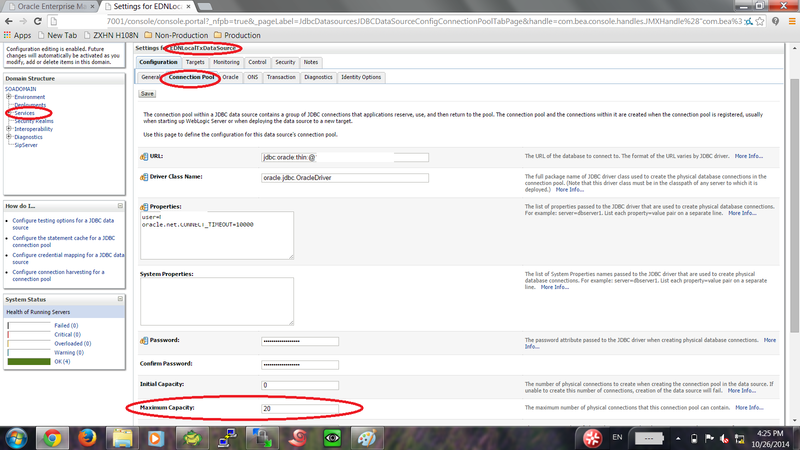 after investigation Table Called “REFERENCE_INSTANCE” include information about Running Composite in SOA ans instances. the size for this table 18GB. Check the data in the above query, just in case you can use export data-bump utility for this table, however after this Truncate the table and from full tablespace toonly 2% usage. 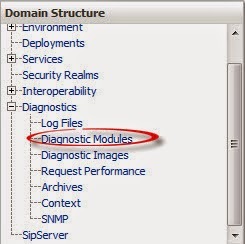 Goto domain location –> config folder. remove this line from the config.xml file, Take backup before you do this. Resource temporarily unavailable in tsStartJavaThread (lifecycle.c:1096). Your Java heap size might be set too high. java.lang.OutOfMemoryError: Resource temporarily unavailable in tsStartJavaThread (lifecycle.c:1096). 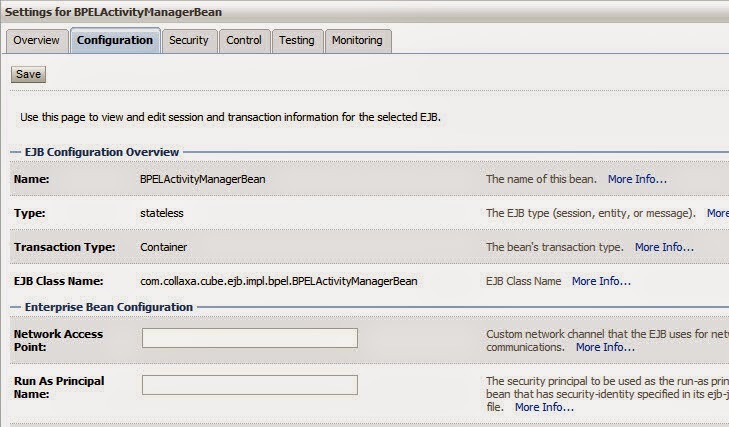 From the above error, transaction timeout should be increased regarding to heavy transaction on soa server. WSM-02557 When Trying to Deploy On SOA Server. 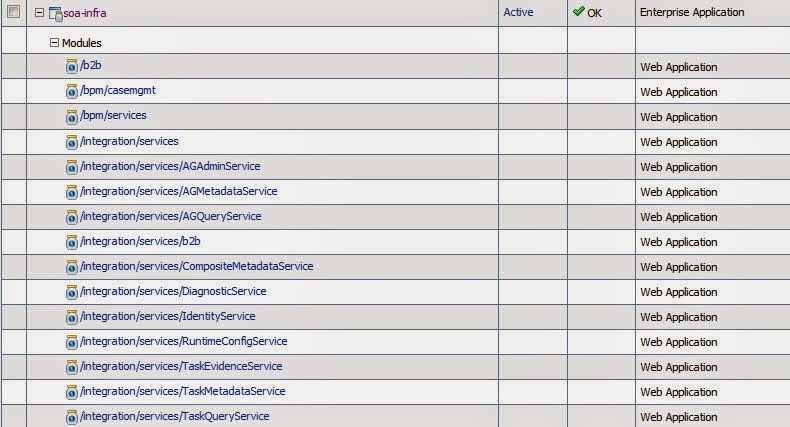 AdminServer-diagnostic.log:[2014-07-16T10:40:43.681+02:00] [AdminServer] [ERROR] [WSM-02353] [oracle.wsm.resources.policymanager] [tid: [ACTIVE].ExecuteThread: ‘0’ for queue: ‘weblogic.kernel.Default (self-tuning)’] [userId: admin] [ecid: bf57ca3361a7ecd1:-39746f30:1473e26749c:-8000-000000000000026a,0] [APP: em] Unable to get the Action Executor. 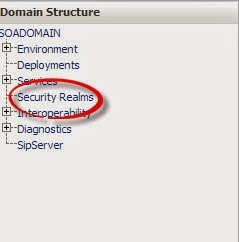 From AdminConsole –> Security —> myrealms –> Choose Users and Group Tab. and assign this group to OracleSystemUser , Restart Console and managed Server Try again.